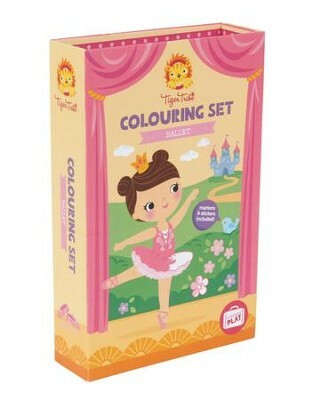 Your aspiring ballerina will love making their own creations with the Colouring Set Ballet from Schylling Toys. Designed for ages 3 years and older, this ballet-inspired coloring book set features 48 coloring pages, 5 sticker sheets, and 10 markers, all packed in an adorable storage box. Measures 8.25" x 5.5" x 1.5". I'm the author/artist and I want to review Ballet Coloring Set.